Size 12 is Not Fat - The World of Alice D.
reviews, pictures and everything else that comes to my mind while drinking coffee. Cheers. P.S. I won't be adding books I read before 2010. This book was recommended to me as a 'good mystery novel'. Skeptical about it, I read it anyway. So far, I've learned not to take books I'm sure I'm not going to like. I do not like convincing people to read a book that I find good, and I don't like them convincing me to read something they like unless I'm sure that our taste is similar. Everyone should read books according to their own taste. Anyway, the story is about Header, an ex-pop star that has put on weight and found a job at a student dorm. The character of Header is uninteresting and a little dull. 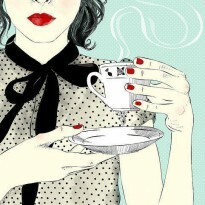 She's a typical girl and of course, in love with a hot guy that doesn't know about her feelings. Her life revolves around a guy and occasional mysteries in the student dorm. I find the story decent, even interesting in the parts where the murders come in. 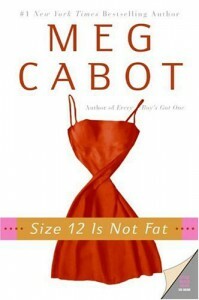 Although I didn't like it, I admit that Meg Cabot is not a bad writer. Only, her books are not for adult audience.